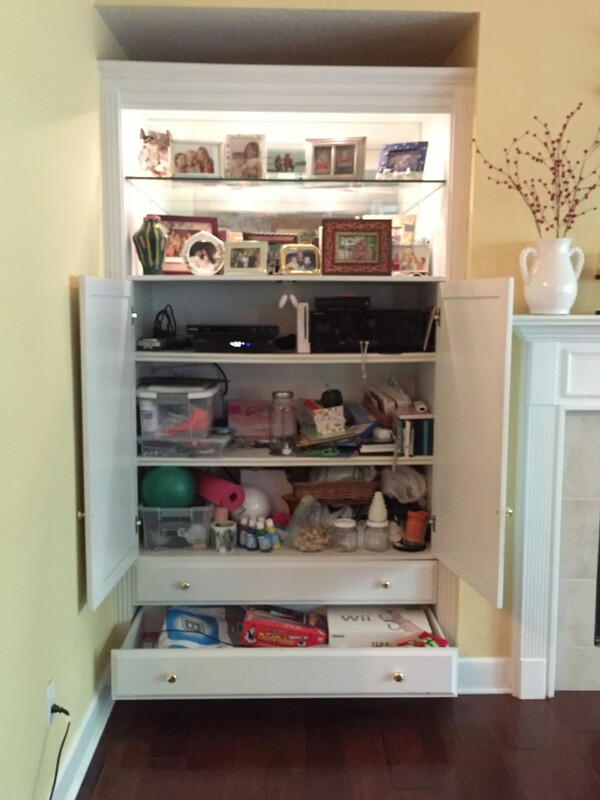 Clear The Clutter: Too Many Photos On Display? I LOVE photos of my family, especially of my children. 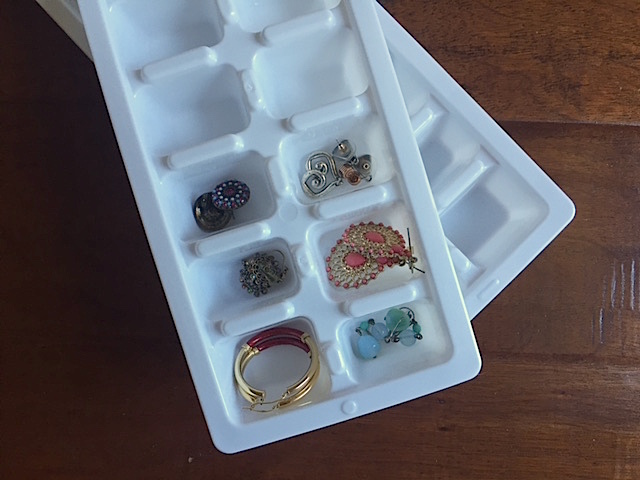 But I do have a hard time taking some down to make room for more (it is more of an addiction!). I just buy more frames and put them along side all the other photos. 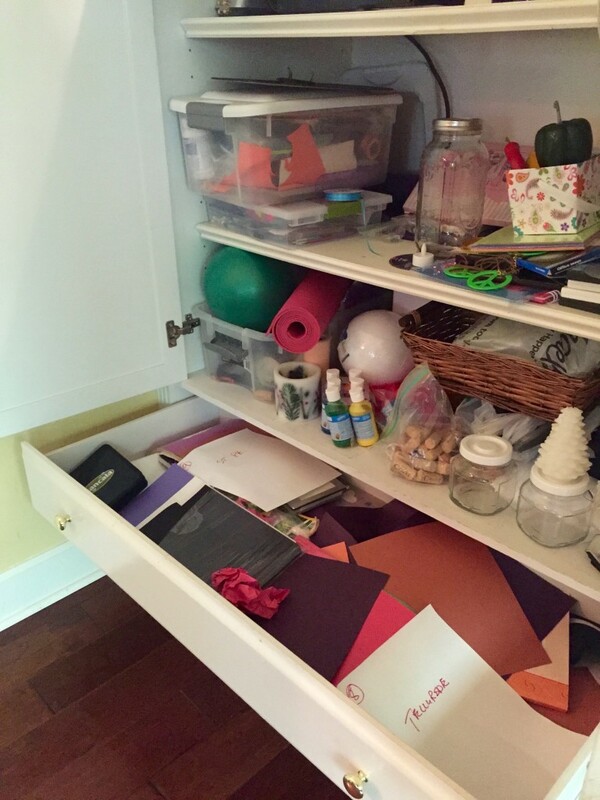 Well, this can lead to lots of clutter! 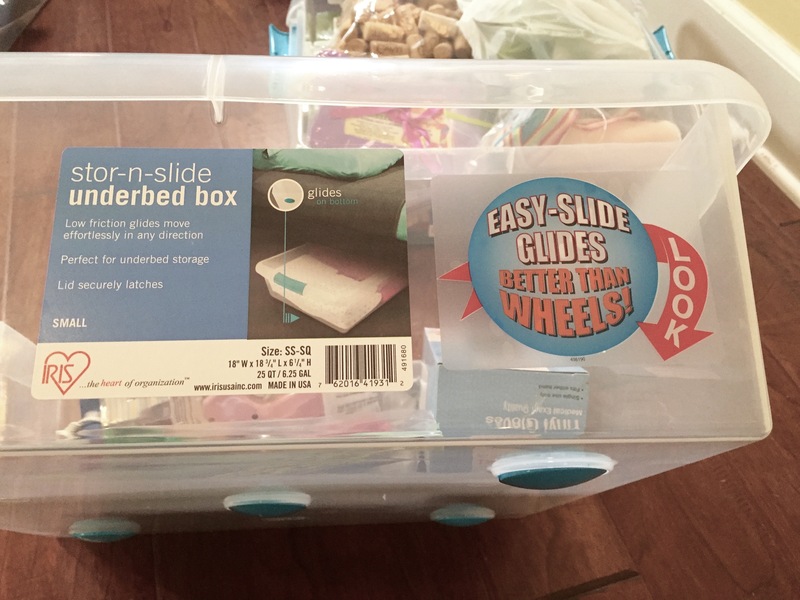 So Chris Stone, professional organizer and owner of NeatlyDeisgned.com, comes to my rescue to help me clear the clutter of too many photos! We take you through the process of how to tackle those photos and really show off what is most important to you! So sit back and enjoy! 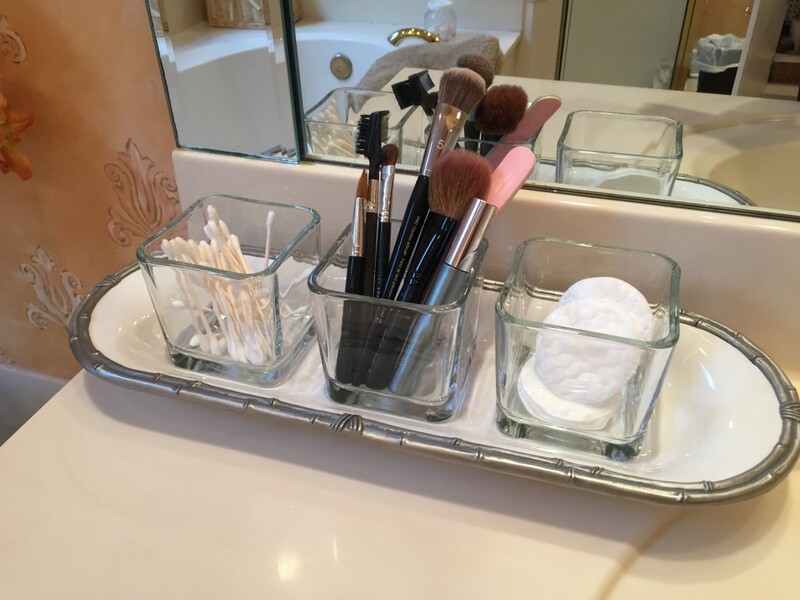 Do Your Candle Holders Look Like This? 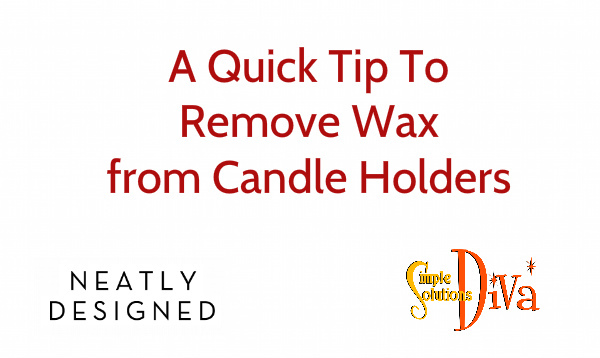 This tip shows how to easily remove candle wax from a candle holder! 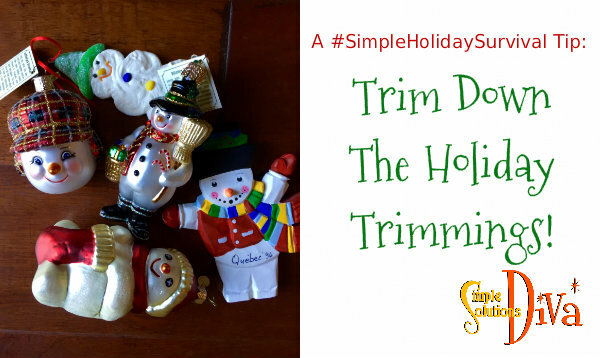 We know it can be a pain, but this is VERY easy! A big Thank You to Chris Stone of NeatlyDesigned.com for helping me out with this video tip! 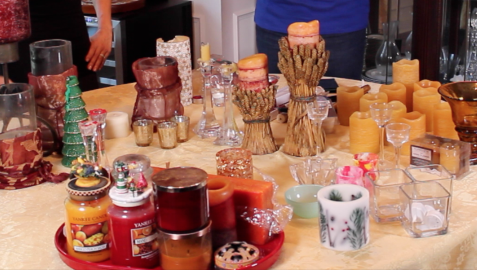 Chris Stone of Neatly Designed is BACK and we are talking clearing the clutter of candles! 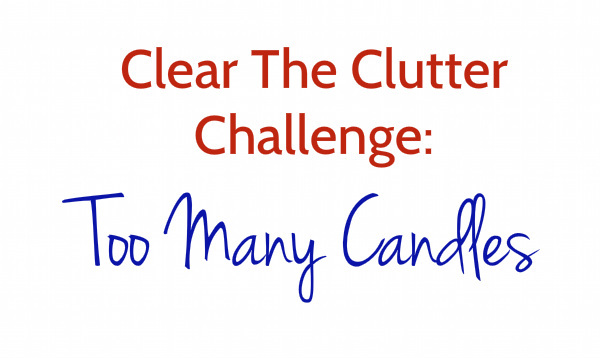 In this video, we show you how to approach decluttering those stashes of candles you have around the house (come on, I KNOW you have them!). All you need is an hour (maybe two, if you have as many as I do!). 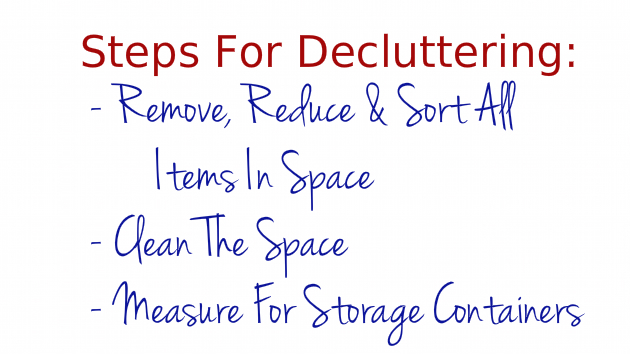 So clear the clutter and feel good about doing it! You think I might have a candle problem? 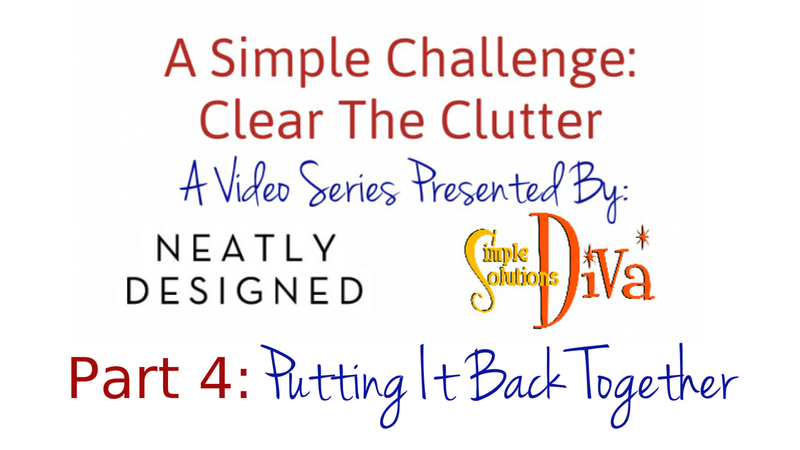 Clear The Clutter, Part 4 – Putting It All Back Together! 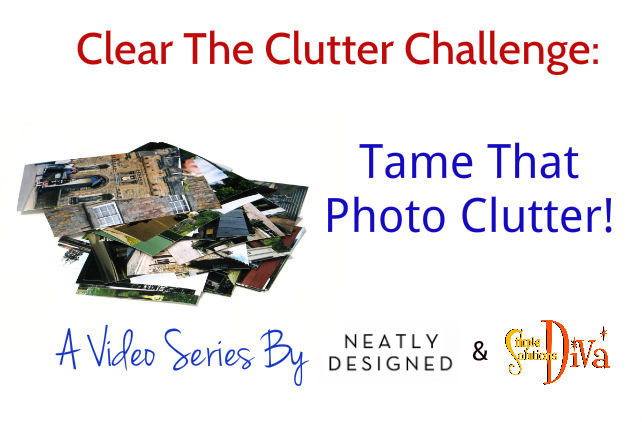 With this video, the Clear The Clutter Challenge is coming to a close! 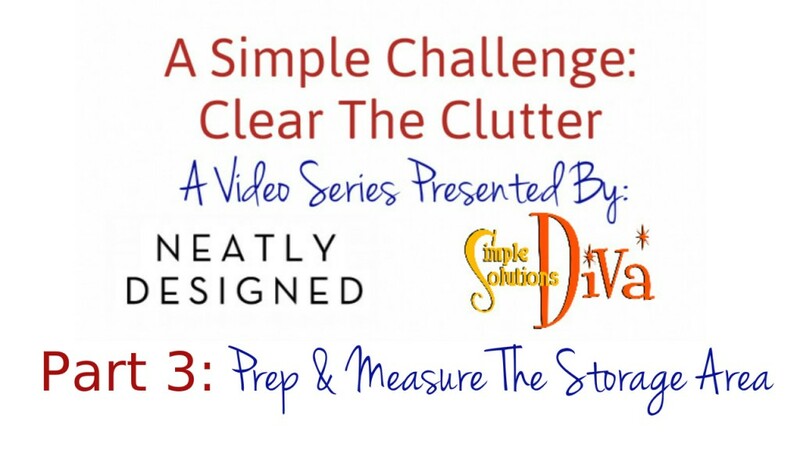 Chris Stone of NeatlyDesigned.com and I have brought you through the whole process: where to start, how to let go of things, and how to prep the space for the new, organized closet. Now we put things back together! 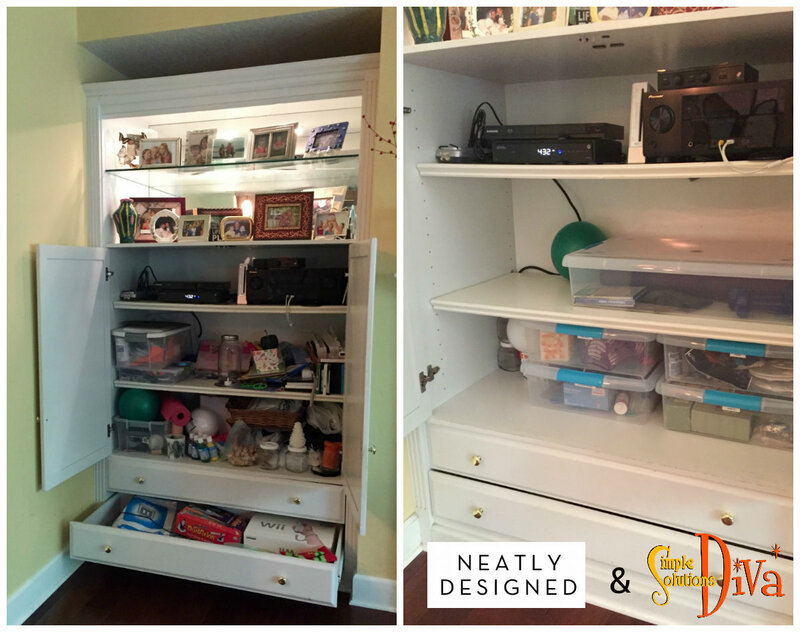 Let me refresh your memory of what we started with – a very disorganized, cluttered craft closet! 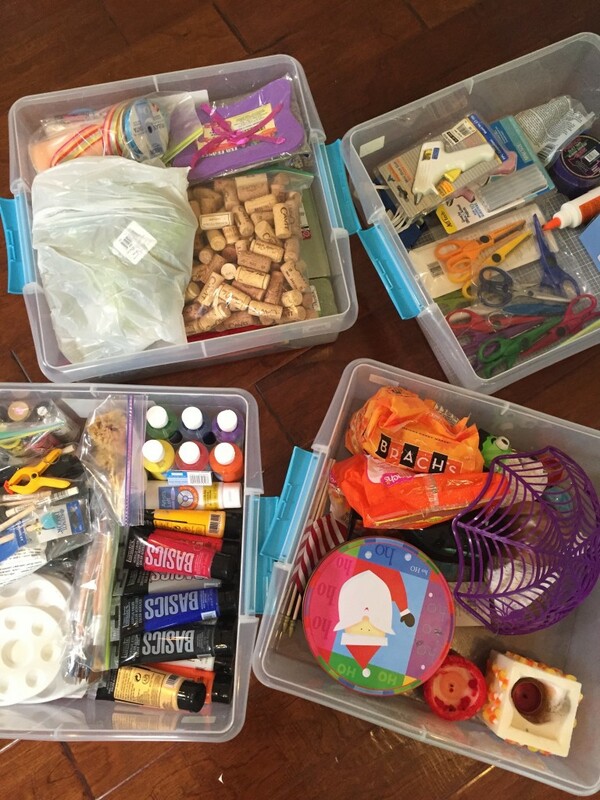 This process has been tough on me – I had to learn to let go of some things, not just because they made things messy, but because they were making me feel overwhelmed! 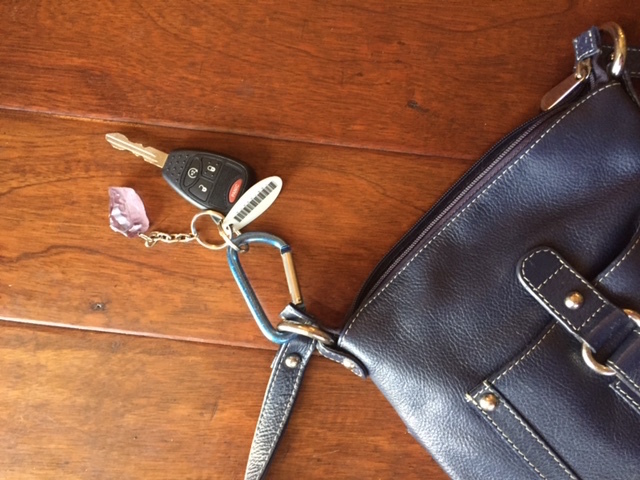 Letting go really made me feel lighter, less stressed and ready to take on new challenges! All neat and tidy! I feel less stressed already! 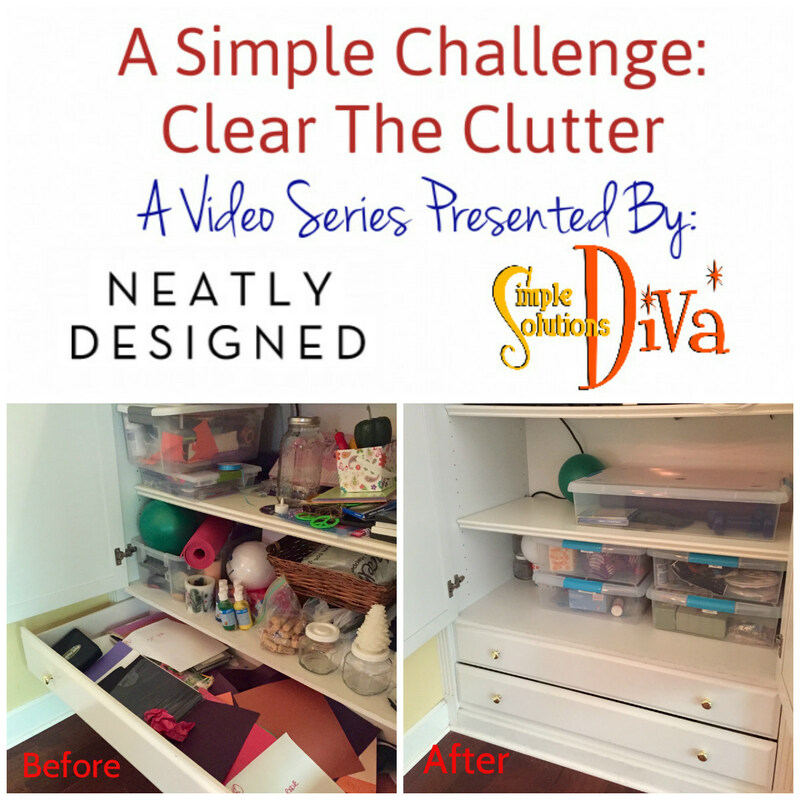 It was our hope we could motivate you to take on the challenge of clearing the clutter in your home – whether it is a big or small project! If you need help, don’t be afraid (or embarrassed!) 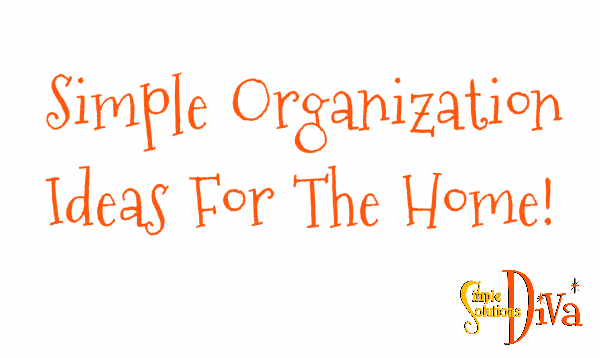 to contact a professional organizer to help you. 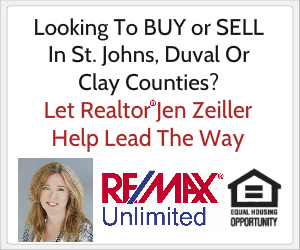 The reality is, if you aren’t on a episode of Hoarders, you are probably normal and just need a little help letting go! 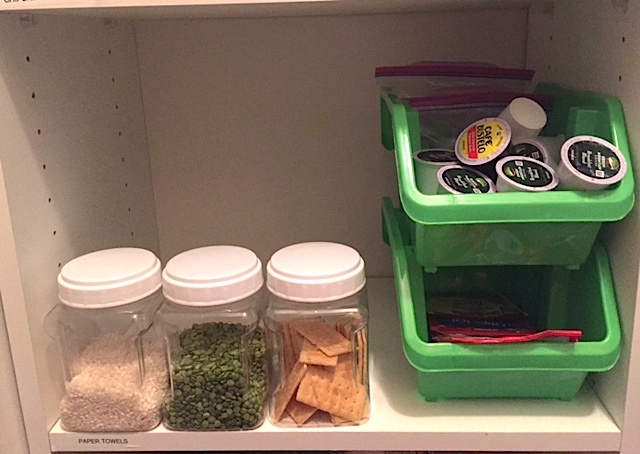 Closeup of the storage containers we found at The Container Store! 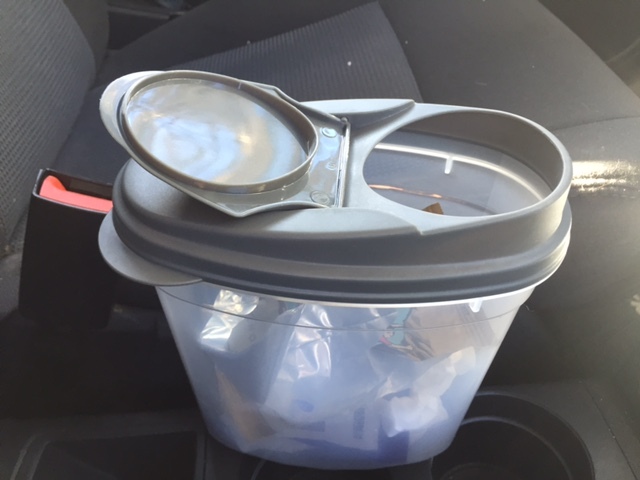 Look for future Clear The Clutter videos down the road – we had a ball working on these! 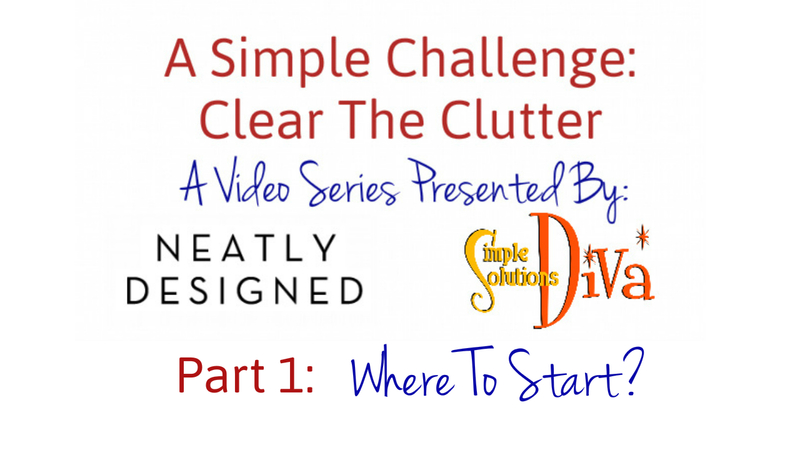 Welcome to the first in the video series, A Simple Challenge: Clear The Clutter. 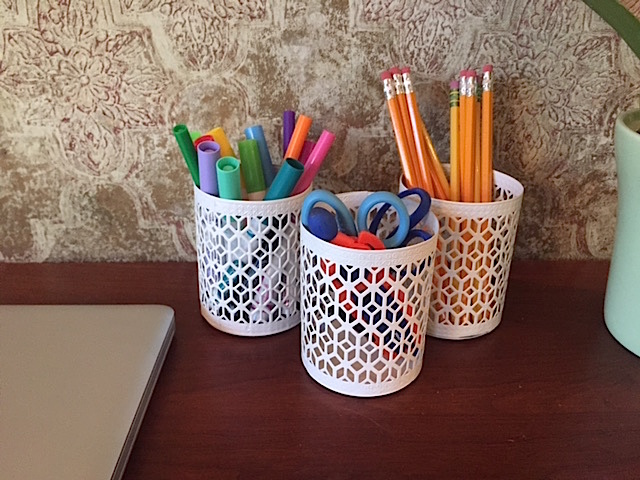 I’ve teamed up this month with professional organizer Chris Stone of Neatly Designed to give you a helping hand in getting started in your decluttering process. 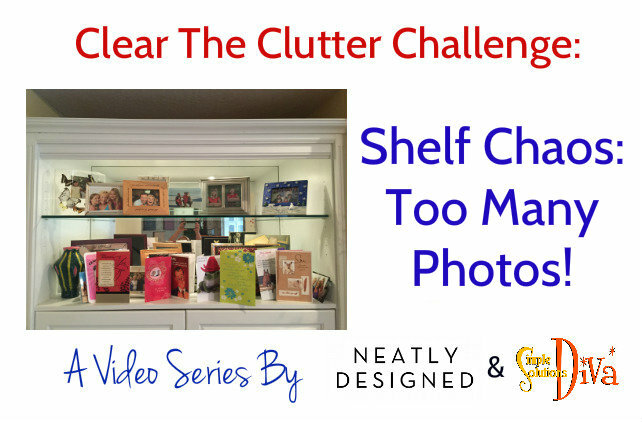 In today’s video, Chris and I begin the process to tackle the hidden clutter in my media cabinet/craft closet – AKA My Anxiety Closet! BTW – I highly recommend subscribing to Chris’ blog for great tips & little nuggets of motivation! They really do help keep you going! 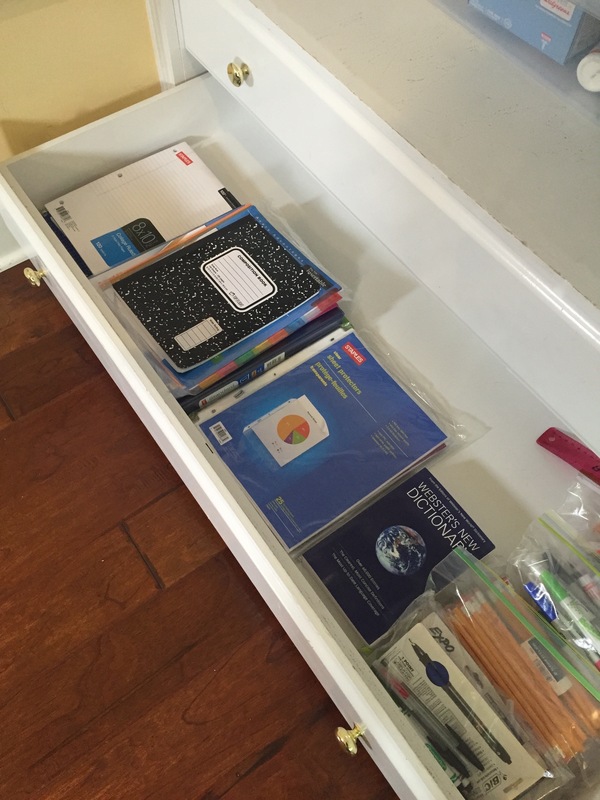 For years, I was really good at a mass purge every six months or so – I was forced to when the kids were little to go through their stuff because they were outgrowing everything so fast! But as time sped up (parents of teens and pre-teens will understand this concept of time flying! ), I seemed to have less and less time to get things done! 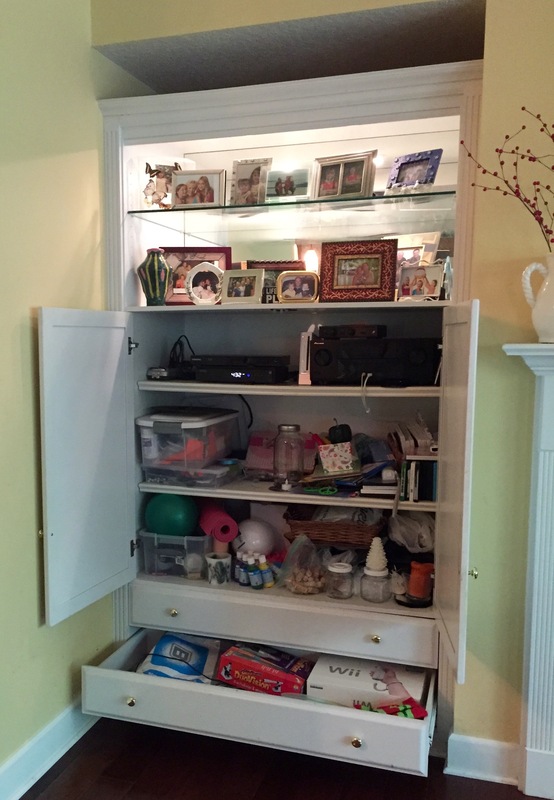 Now, I believe most people have clutter, whether hidden or in plain site. Many will go along and live in their clutter, either unaware or unwilling to deal with it. Avoiding, putting it off, waiting until they have a quiet day, etc. That is, until something happens and they force themselves — or are forced — to deal with it! My moment of truth came when my oldest left for college. 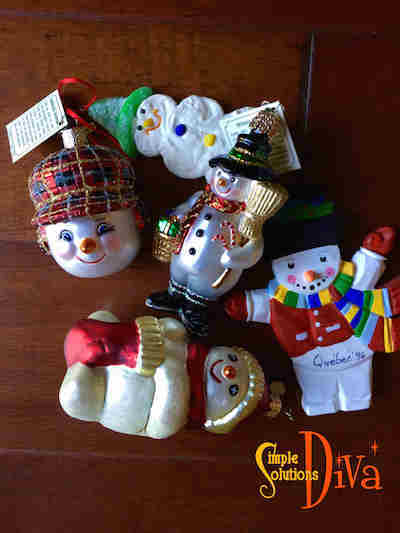 I have, for at least the last year or so, been ignoring the piles of junk accumulating in and around my house! 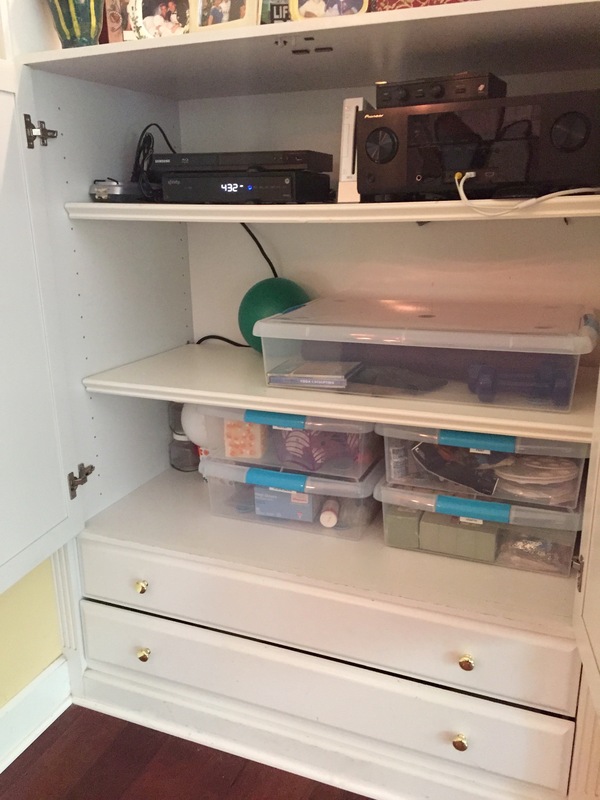 My Media Cabinet/Craft Closet/Junk Hideaway! 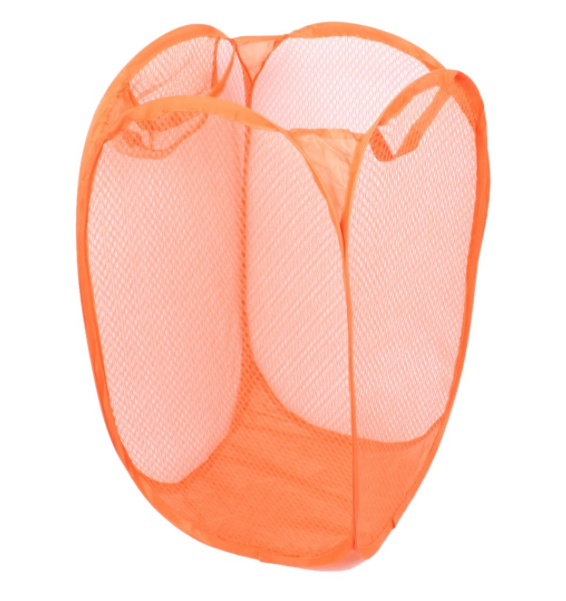 AKA, My Anxiety Closet! Between doing projects for SimpleSolutionsDiva.com, family activities, sports, and just wanting to eek out those last few moments with my “baby’ before she left for college, etc., I found myself throwing things in a closet saying, “I’ll get to it soon!” Well, I think I reached that point of being just grossed out by it all! 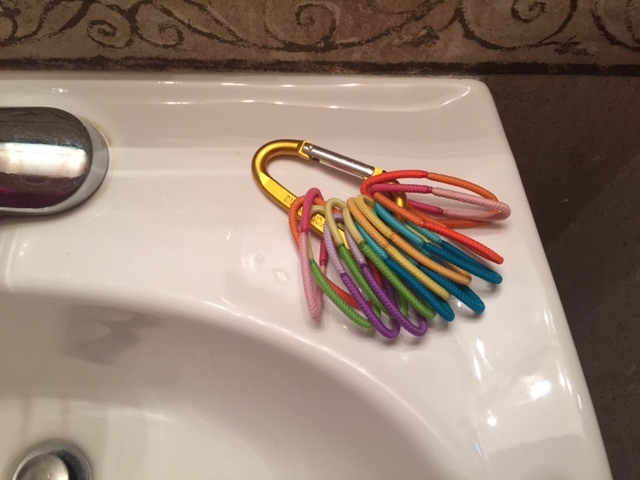 And the subtle (and not so subtle) requests from my patient husband just got to be too much to ignore. . . 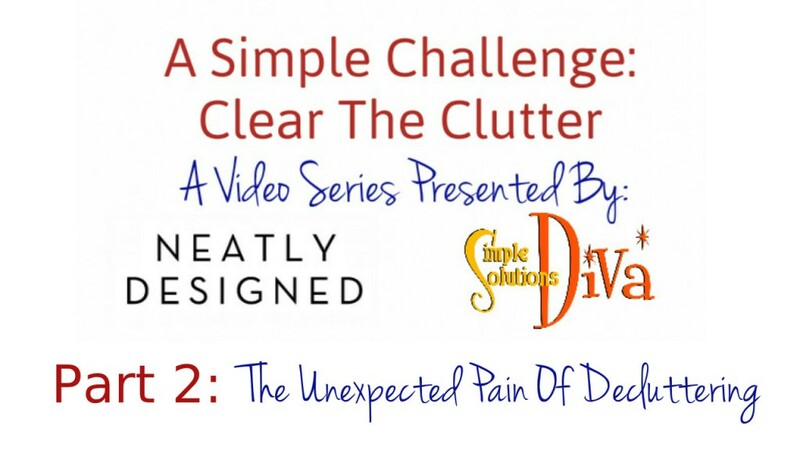 So join Chris Stone and I, as she shepherds me through the process of clearing out my clutter! 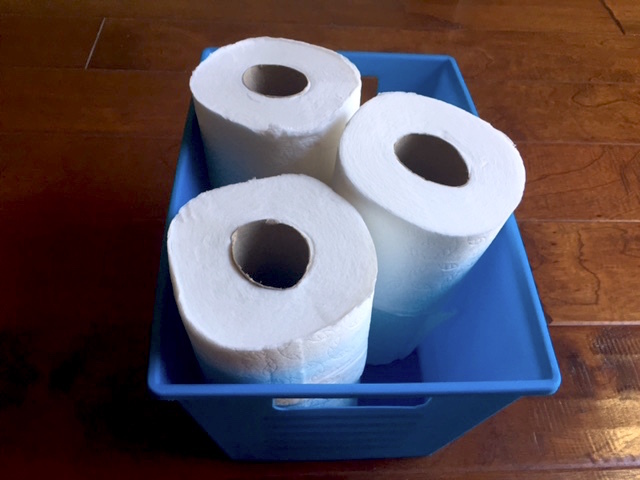 I hope it will help motivate you to take care of some of the piles in and around your home! P.S. 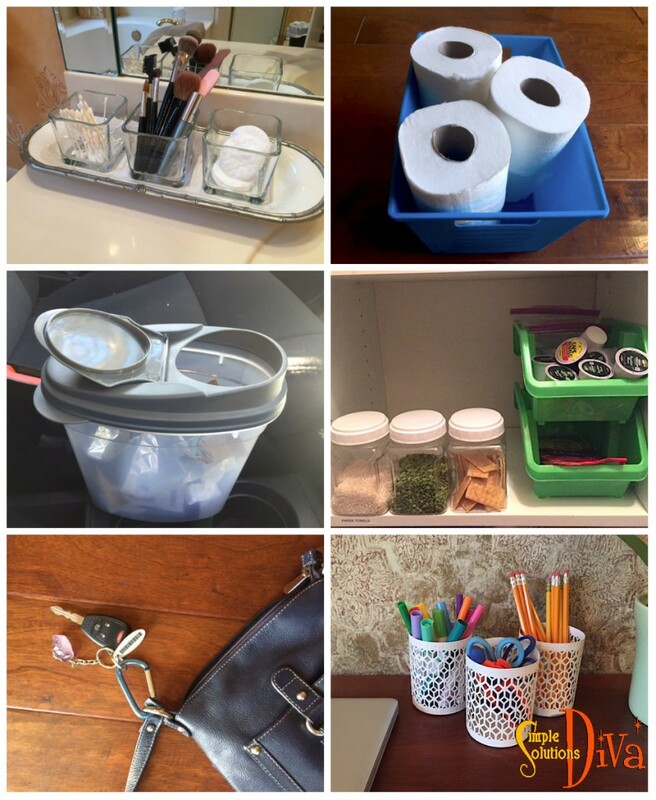 : I have to say, I find this has helped me feel lighter, more organized, and I actually have more time and energy to do the things I want to do. I think I was being paralyzed by the piles!